Word for Android and Word Mobile supports writing and editing math equations. Write your math equations in linear format, for example like a2+b2=c2 and Word will convert it into professional display format a²+b²=c². Tap Home and select Insert. Under Insert, choose Insert New Equation. You get the prompt to type a new equation. 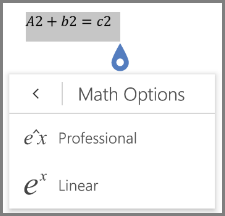 After you type your equation in linear format, tap to see Math Options. 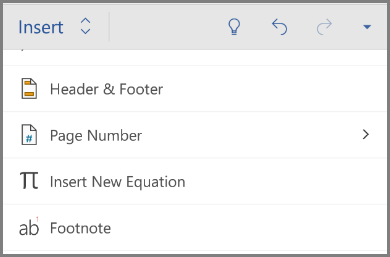 Choose Professional to have your equations appear as display format.